Cloud computing has been described as the greatest game changer since the creation of the Internet and is one of the fastest growing areas of technology today. The annual spend on Cloud computing is expected to triple in the next two years. It can be simply defined as renting time on a computing infrastructure over the Internet, rather than building your own from the ground up. In a way it could be described as outsourcing your computer infrastructure. 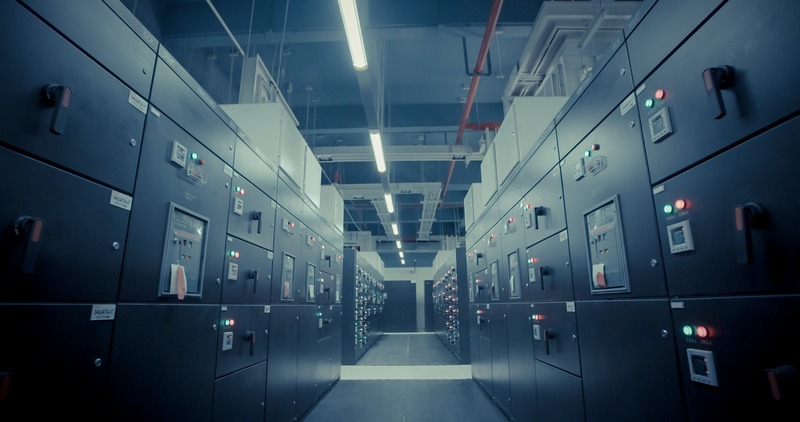 Power is about 25% of the running cost of a data centre, and by moving to the cloud there will be savings to be derived from reducing the power consumed. With the Cloud, the cost of the technology moves from a CAPEX to an OPEX. By buying hardware for an on-premise install – a CAPEX spend, the size of the kit purchased will be used for at least the next five years as against leasing – an OPEX spend, enough resources for a couple of month at a time. The total cost of ownership of an on-premise install also includes the supporting structures – Power, cooling, networking and security. This shows that by just moving to an annuity there is an immediate cost save. With the Cloud, the cost of the technology moves from a CAPEX to an OPEX. By buying hardware for an on-premise install – a CAPEX spend, the size of the kit purchased will be used for at least the next five years as against leasing – an OPEX spend, enough resources for a couple of month at a time. Cloud computing offers scalability and reliability that cannot be matched by a single enterprise. Scalability with regards expanding of the infrastructure which can be done immediately whilst in most organisation this would be a 4- 12 weeks endeavour. You can scale up or down as required. It is more reliable as the infrastructure tends to be bigger with more redundancy and it has the ability to swap out faulty parts quicker or to move away from a faulty platform smoothly with no interruption. Cloud based disaster recovery is available to all sizes of business and is extremely cost-effective because it eliminates large upfront costs and is implemented as part of your cloud package. Large investments on server refreshes and software updates will no longer be part of the company’s activities with the implementation of Cloud computing. Since the devaluation of the Naira, a similar investment that was made five years ago is unrealistic now, this comes into focus when a company is faced with an infrastructure that has reached its end of life and needs to be refreshed or updated. With the Cloud, collaboration becomes easier and more accessible as the access to data becomes available at all hours. This also means that there is greater document control. Moving to the cloud means that there is a central storage of data and greater access control and version control. Security is greater and much easier and cheaper to manage. The nightmare of sensitive and current data stored on laptop hard drives being lost or stolen are gone and the protection of data greater. If data is stored centrally there will be no need to wipe stolen laptop drives remotely. The only action to be taken is to block the stolen device from accessing the Cloud infrastructure. The functionality and resources available levels the playing field. Like never before smaller organisations have access to infrastructure that is normally only available to large, wealthy organisations. There is a reduced requirement for large number of staff and data centre skilled staff. The ability to focus more on business issues means there is an increase in productivity and also on the return on employee. There is an increase in business agility. Technology complexity is simplified. The ability to deliver more complex infrastructure quickly, cheaper and more reliably becomes a reality. With an on-premise installation, when a failure occurs to the power or cooling system, it’s a major headache and distraction to the IT staff. But if the company is on a cloud infrastructure this is not even a consideration. There are three levels of power to be managed with an on-premise installation – namely, the power generator, UPS and the inverter system. For power redundancy, there is a requirement to have two separate lines. Every added layer is an added cost. For an effective management of the infrastructure there is a minimum of two power generators, two UPS systems and two inverter systems with a large cluster of batteries. At today’s prices, these costs are extremely high. With Cloud computing, these costs are greatly reduced or eliminated. The management of the IT infrastructure is very complex and highly critical. By outsourcing the infrastructure, the IT staff are better deployed dealing with strategic and business service delivery rather than mundane infrastructure issues that do not add value but can be highly disruptive and costly. On-premise server rooms and data centres are highly insecure and vulnerable to attacks and breaches. Invariably there is only a simple door separate company staff and vital infrastructure. Biometric access and simple CCTV is not adequate to prevent data theft or system compromises. A disgruntled staff or a staff with a malicious intent can easily compromise the company’s data and the transgression would only be apparent when it is too late. In a financial institution, it would not only be a data loss but also a financial loss. The implementation of adequate checks and balances to ensure that the company data is intact and not compromised comes at a very high cost sometimes the management are slow to implement this. Moving the data to a highly secure and remote location ensures that there is peace of mind and a huge cost savings with no infrastructure and security cost involved. Another major stumbling block in the past was the lack of stable connectivity. With the company’s data in the cloud, it is important to have stable, reliable and cost effective connectivity. The reliability and the cost of connectivity has come a long way. Also, the ability to build in several layers of redundancy is not only possible but also available. It is possible to get fibre to be run to the last mile especially if the offices are close to major streets. A few years ago, a radio had to be installed with a line of sight. Many organisations install two fibre links from two independent connectivity vendors and in some cases the fibre is backed up with a radio link in the event of a fibre cut at no extra cost. In conclusion, organisations that do not take advantage of the current trends with Cloud computing, which offers huge savings, especially where the company is highly reliant on technology, would be spending up to 70% more than its competitors on infrastructure and may not be able to match its rivals agility and competitiveness in the market.